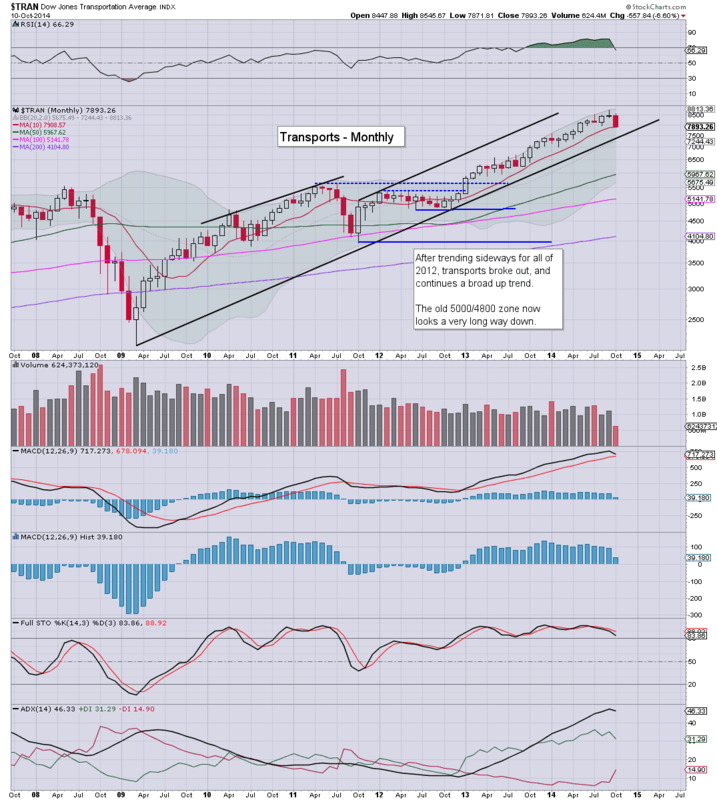 The US equity market is rolling over on the giant monthly cycle. So far this month, declines range from -2.9% (Dow), -4.8% (Nasdaq Comp'), to -6.6% (Transports). A bounce from sp'1900 seems likely, before the possibility of a severe down wave, much like summer 2011. 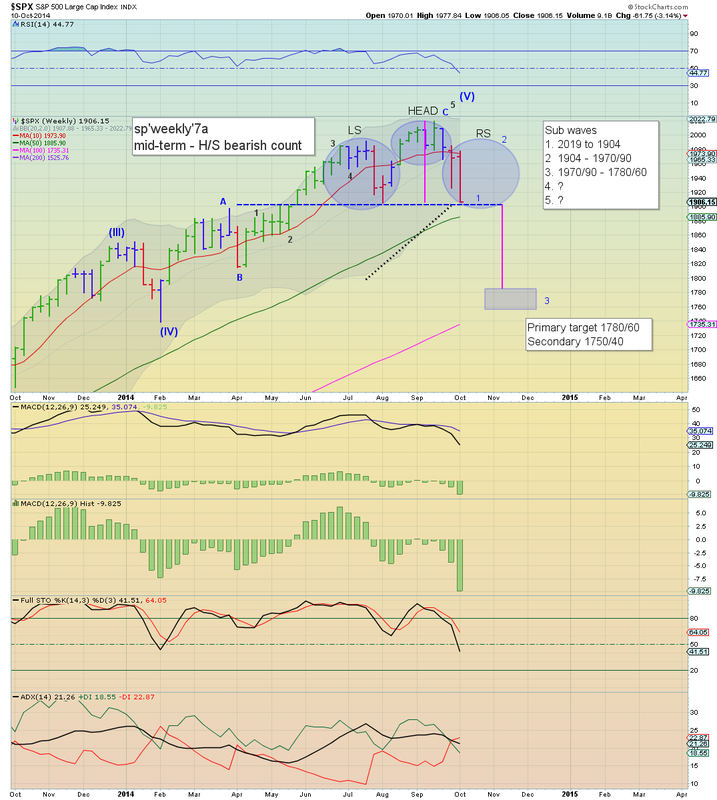 September only closed a touch net lower, but with the move down to sp'1906, we now have a bearish MACD cross... and are negative cycle for the time since January 2012. 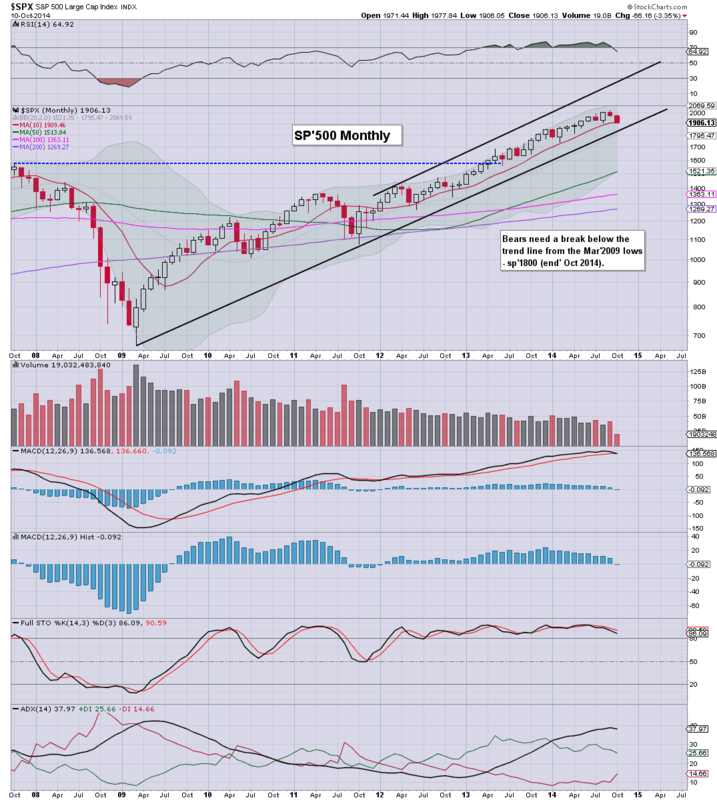 Indeed, as of the Friday close, the sp'500 joins the R2K, Dow, and NYSE Comp' at MARCON 6. 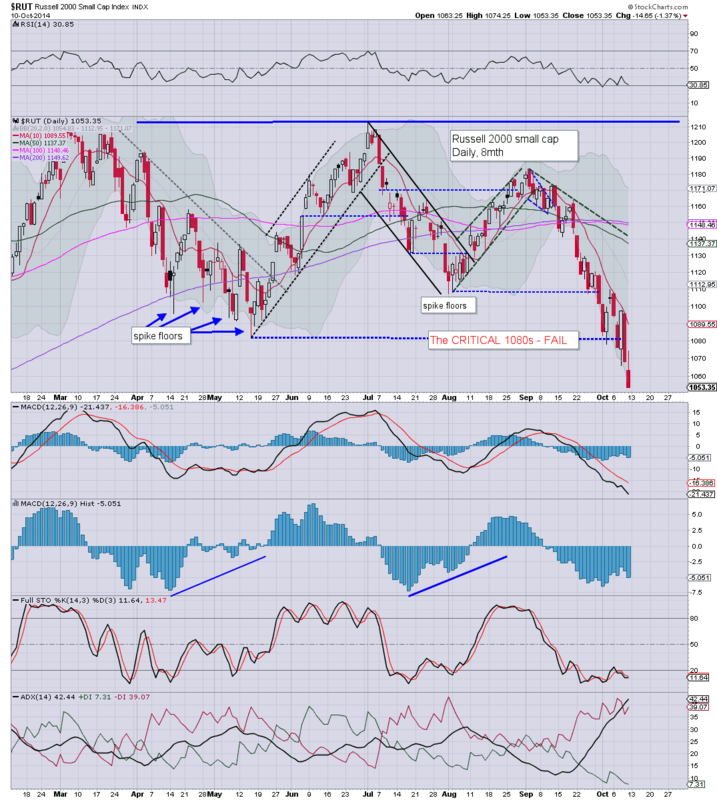 Key rising support from the 2009 low is around 1825. With the recent style of price action, a sustained break below 1900 (after a latter half October bounce) seems likely in November. If a H/S scenario, target zone is 1780/60. 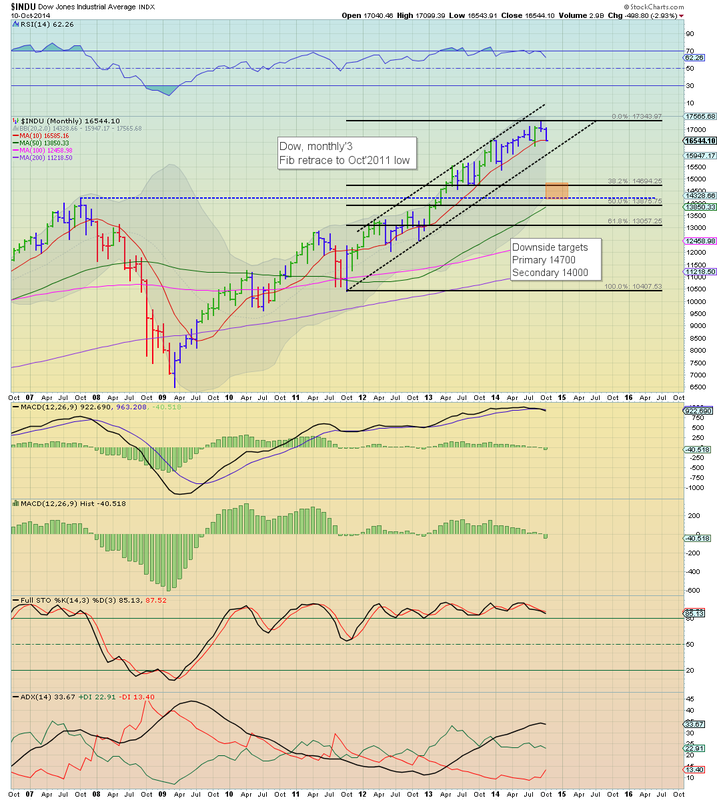 A multi-month down wave - analogous to summer 2011, would offer a fib retrace down to sp'1650.. just 3% or so above the double top of 2000/2007. Right now though, that latter scenario does seem beyond 'the stuff of dreams'. The tech is especially suffering this past week, and is currently down a very significant -4.8%. Next key level is the giant 4k threshold. If that fails (as I expect).. primary target would be around 3500/3400. Even the mighty Dow is lower by almost -3% so far this month, and looks set for significantly lower levels this autumn. First key target zone is 15000/14700. A break <14k looks highly unlikely.. no matter how rattled the market might get. 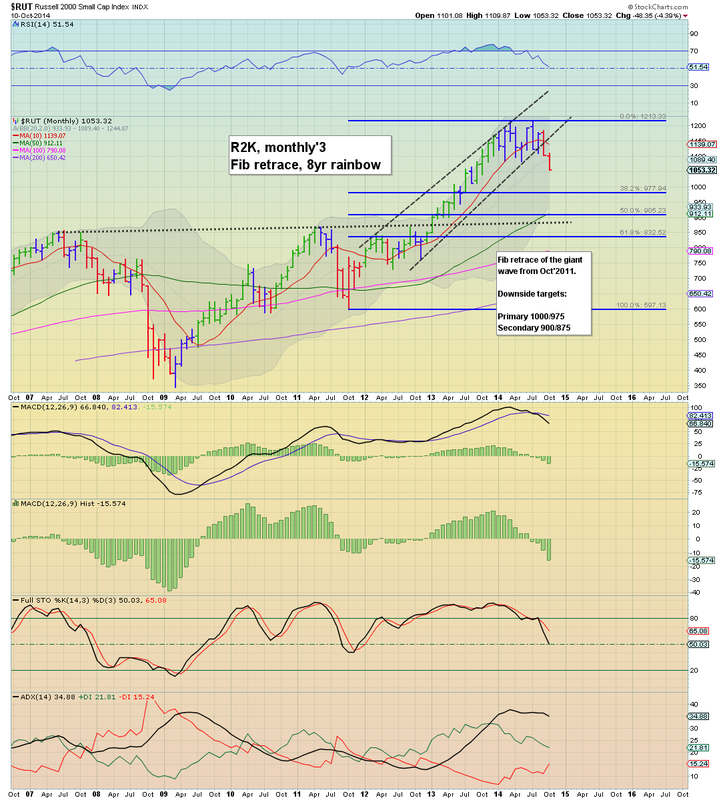 The master index - like the R2K, has a clear break of the rising trend from summer 2012. We've a very significant red candle, the first since May 2012. First target is the 9500/9300 zone. Like the R2K, Dow, and Sp'500... the NYSE Comp' is now MARCON 6. 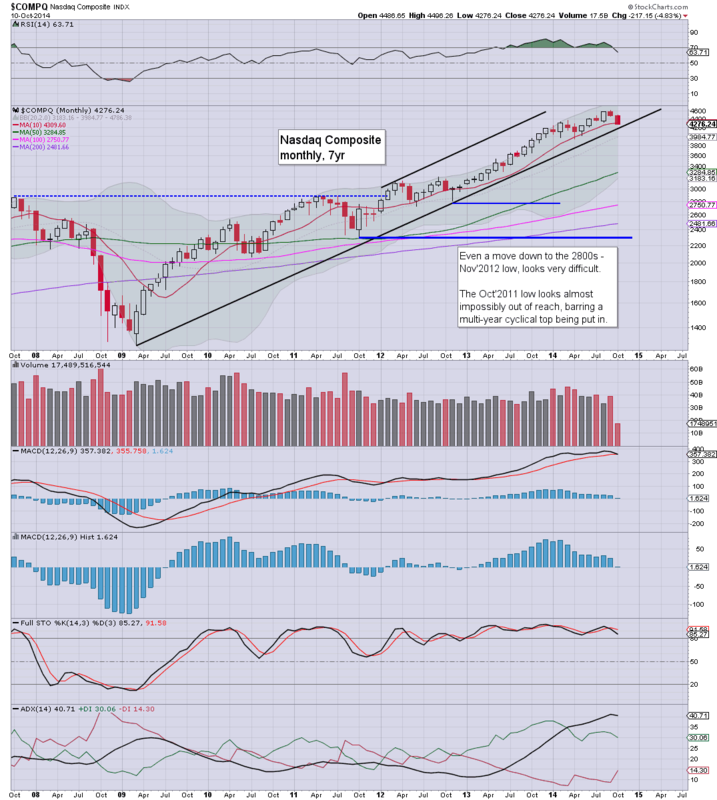 The R2K had been stuck all year, with a double top of 1212/1213. 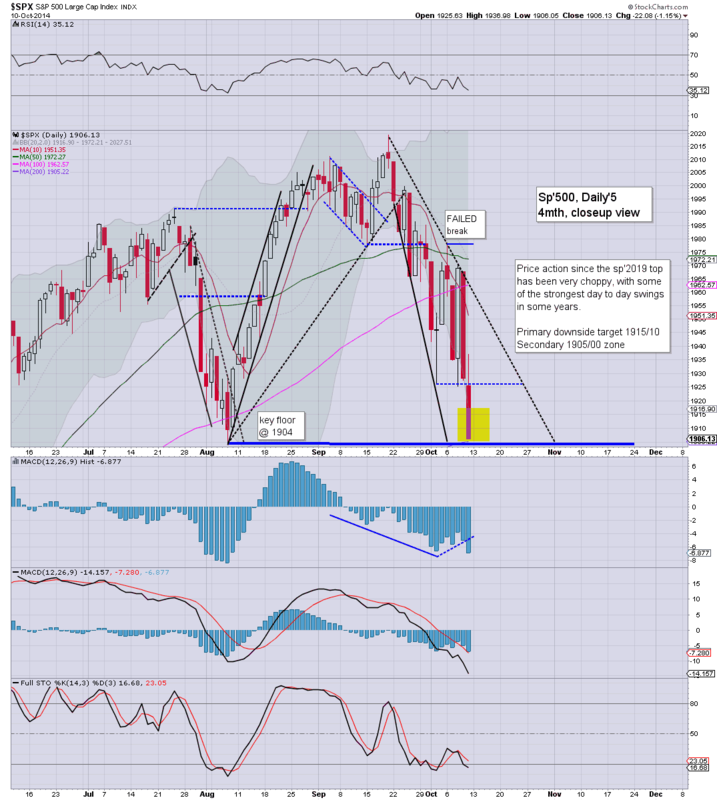 With the recent break of the 1080 floor, the R2K is a completely broken index. We've the second consecutive red candle, and the R2K looks headed for the giant 1000 level... if not the low 900s. So far this month, the 'old leader' - Transports, is lower by a somewhat severe -6.6% @ 7893. A bearish MACD cross looks a given in November. First target is 7k. Ultimate best downside case for the equity bears is 6k. 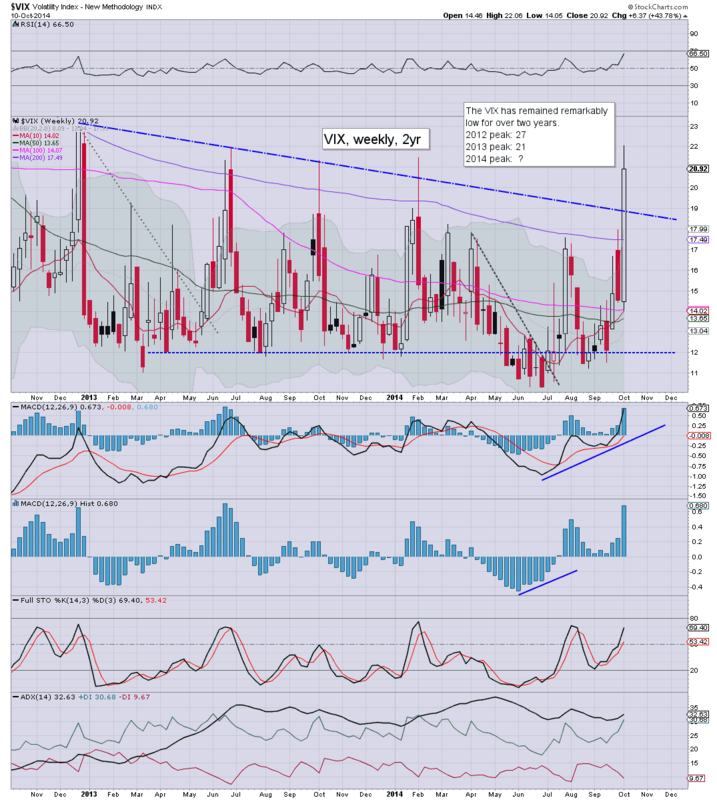 On no outlook do I see any sustained trading in the 5000s. Without question, something new is going on. We have very significant bearish crosses on 4 of the 6 main indexes I regularly highlight. The last time we saw this type of event was in summer 2011.. where the broader market saw a fall of almost 20%. Most of the mainstream are still only moderately open to even a 10% correction, never mind anything close to summer 2011. How are the cheerleaders going to react if we're in the 1700s by late November? Tears and screaming toward Yellen, demanding QE4? Certainly, if we do trade into the 1700/1600s.. whether late this year or early 2015, I'd have little doubt the Fed will launch yet another QE program. Maybe they might want to start buying up some of that student debt in the next round? There really isn't much in the way of significant data. Mon - bond market is CLOSED (holiday), but equities open! Fri' housing starts, consumer sent'... & opex. There are a few Fed officials to speak on Monday, but mostly Thursday. The giant equity wave from Oct'2011 - when sp'500 was a mere 1074, appears to have concluded, with a cycle peak of 2019 (Sept'19th). A significant bounce appears likely to begin in the 1905/1895 zone, before 'real trouble' in late Oct/November. With the failure to break back below sp'1500, In summer 2013 I waved a giant white flag.. and it wasn't until just over two weeks ago that I took my first short-index trade in over a year. Since the morning of Sept'19th (Alibaba IPO day), when the sp'500 hit 2019.. .we've seen some increasingly wild price action. Not just the occasion 1% swing, but day after day of dynamic moves. 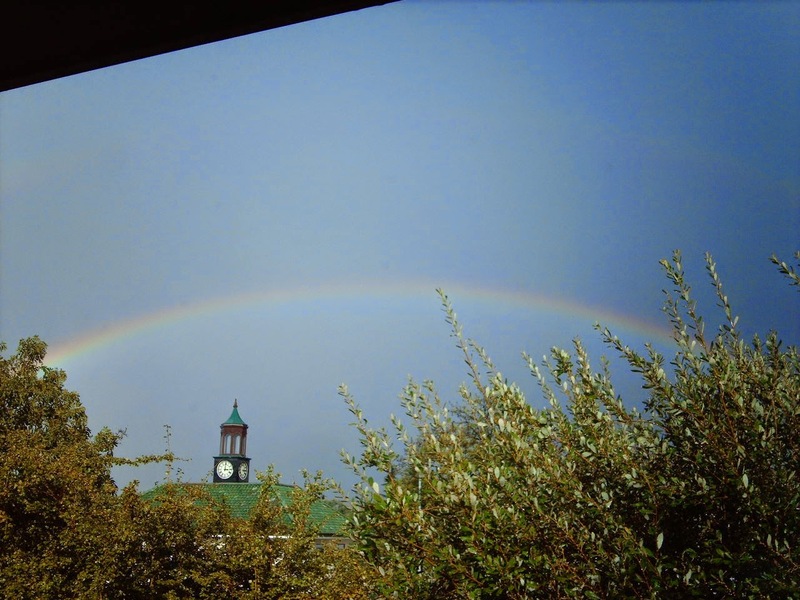 As many are starting to also note... 'something new is occurring'. R2K, double top 1212/1213... with a break under the critical 1080 floor. Dow, MARCON 6, since this past Monday morning. 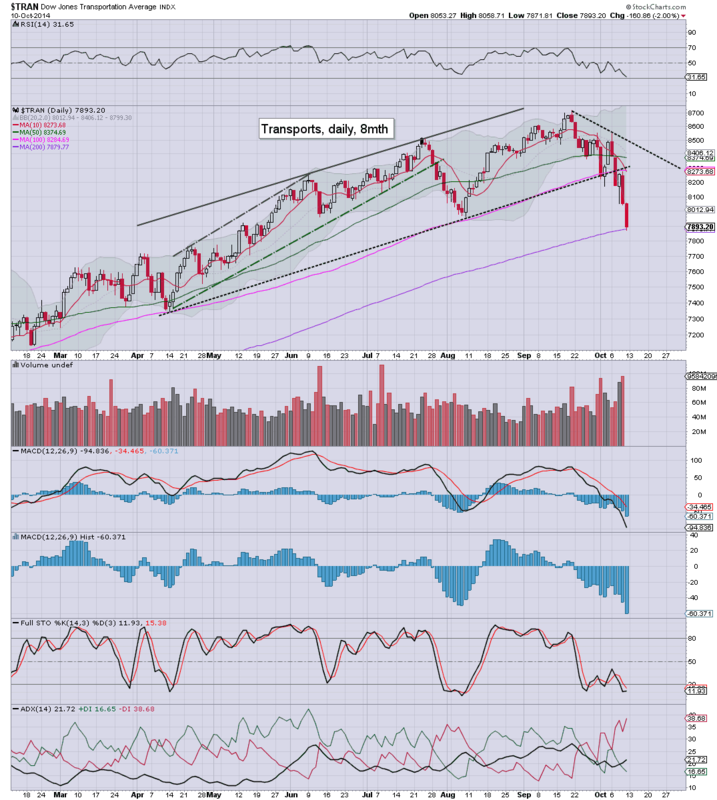 Sp'500, MARCON 6, as of the Friday close. *Overall equity price action is different, with increasingly wild swings, and the traditional 'buy the dip' mentality is switching to one of 'sell the rallies'. I could of course also mention various weak 'macro' data, not least in the EU, but really, I'll leave others to discuss those things right now. 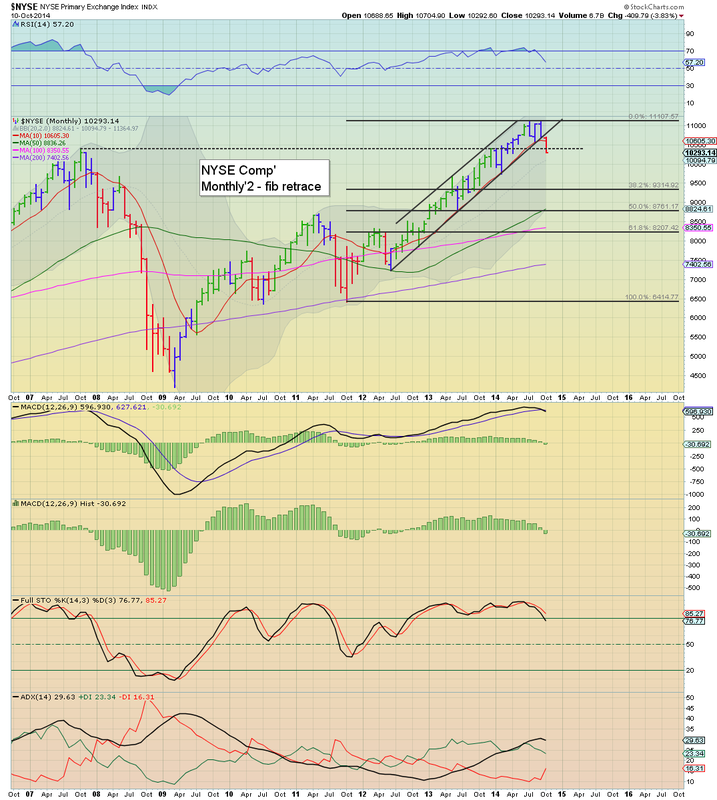 I'm calling sp'2019 a key multi-month top, with the giant wave from Oct'2011 - CONCLUDED. Is this the start of a 2007/08 crash/collapse? No... I still don't think so. I'd guess we have another 12-18mths before a grander multi-year top is put in. Whether this is sp'2100, 2500, 3k, or even 4k (don't doubt that is not impossible)... difficult to say. In the meantime however, I've seen more than enough to convince me that we're going to take out the sp'1900 floor... and then quickly fall into the 1700s. That should offer some great short-side trading opportunities, but also an infinitely better buying level. US indexes ended the week on a negative note, sp -22pts @ 1906. The two leaders - Trans/R2K, settled -2.0% and -1.3% respectively. Near term outlook still offers a quick test of the August sp'1904 low. Suffice to say, new lows... and there is now a huge technical unrecoverable mess for the bull maniacs to deal with. A bounce is due to begin next week, likely from the 1905/1895 zone. More importantly, right now, the notion of new highs before year end..... no way.